Occasionally I get in the mood to stay in jammies all day, sit in my chair, read – both books and blogs- journal, think, plan, reflect and just generally not “do.” Just be in the moment.Yesterday was one of those days. I also watched TV: Melissa Harris-Perry’s new show on MSNBC and Whitney Houston’s funeral. About 4 PM, I decided it was time to shower, dress and make a quick trip to pick up some photos. Home in about an hour . After helping Norman locate his keys, settled back again: jammies, my chair, iPad, all my journaling paraphernalia…and of course, more tv, since I now had a companion (AKA Norman) seated next to me. 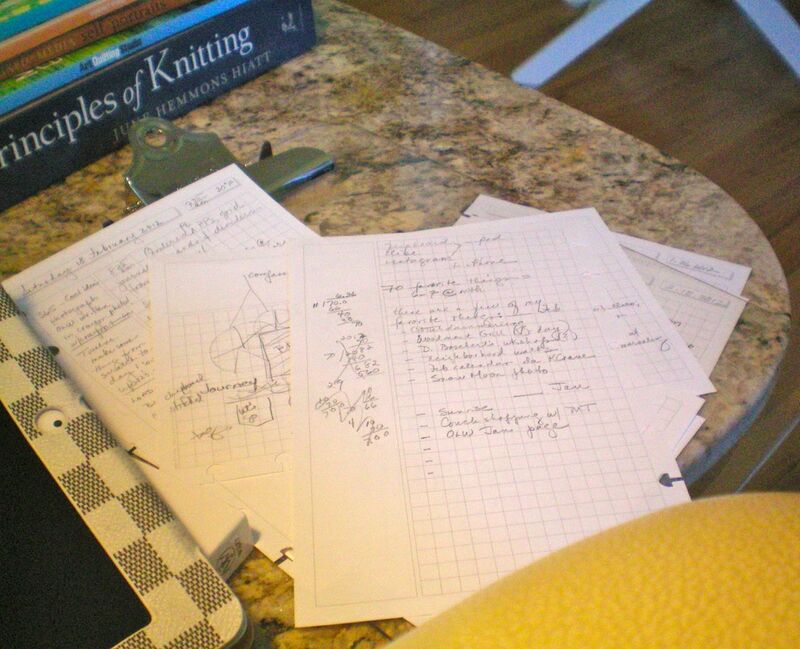 A restorative day…and today, I’m rejuvenated and ready to go to my afternoon knitting class. 19 Feb	This entry was written by Honoré and published on February 19, 2012 at 9:53 am. It’s filed under Honoré, Lifeology, Self Care. Bookmark the permalink. Follow any comments here with the RSS feed for this post. sounds wonderful. lifeology and self care for sure! and then a knitting class…perfect!